Minimizing Transmission. Maximizing Immunity. Optimizing Profitability. Enterisol® stands for Enteric Solutions and is the umbrella brand for Boehringer Ingelheim’s range of vaccines targeted to protect against enteric diseases in swine. Enteric diseases, caused by infectious agents affecting the intestinal tract, have a significant health and economic impact on pig production. 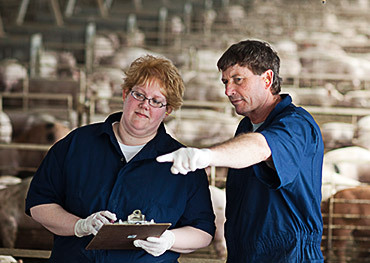 Vaccination, along with hygiene and management, plays a pivotal role in controlling enteric diseases on today’s pig farms. Effective vaccination programmes help keep pigs healthy and productive thus optimizing resource utilization and reducing the need for antibiotic treatments. 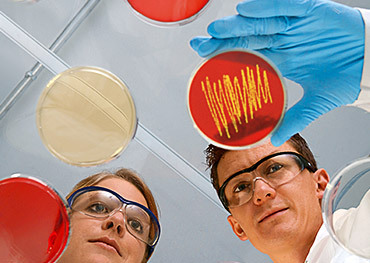 With a long history of innovative vaccines and world-class technical support Boehringer Ingelheim does indeed bring you the best in Enteric Solutions. Ileitis, caused by the obligate intracellular bacterium Lawsonia intracellularis, is globally the most common enteric disease in pigs. Enterisol® Ileitis, launched in 2001, ist the first and only live oral vaccine to control this important disease. 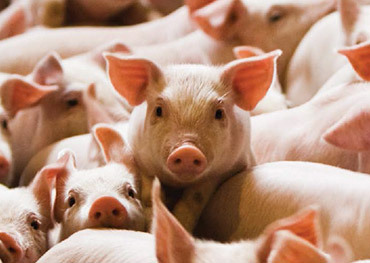 More than 500 million pigs have been protected to date. Porcine Epidemic Diarrhea (PED) is a devastating disease. It is endemic in many regions of the world. Currently, it has a tremendous impact on swine production in North America and available vaccines only provide limited protection. Boehringer Ingelheim helps the industry by providing relevant information on tools to control PED. Salmonellae not only cause significant disease in pigs, but are considered to be among the most important food-borne pathogens. The latest innovation in this field is Enterisol® Salmonella T/C, introduced in the USA in 2014. It is the first and only live oral vaccine targeted as an aid in preventing disease due to both S. Choleraesuis and S. Typhimurium.